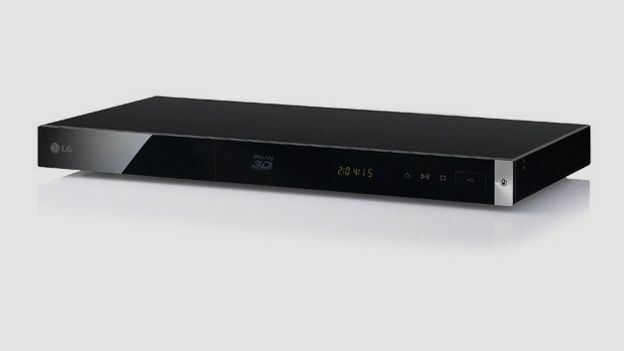 The LG BP420 3D Blu-ray player may ostensibly appear a cookie cutter cheapie, but it stands apart from the crowd when it comes to usability and performance. Its integrated Smart TV portal offers a generous helping of catch-up and IPTV services, and its overall audio-visual performance is defiantly fine. The deck's main competition comes in the shape of the Toshiba BDX5300 and the Sony BDP-S1100. If you're looking for well-equipped deck that won't break the bank, the LG BP420 certainly fits the bill. The deck offers access to a decent selection of streaming internet TV, including BBC iPlayer, Netflix, Lovefilm and YouTube, and 3D disc support is standard. The BP420 is also DLNA compliant and offers extensive multimedia file playback both from local USB and across a network. There's a predictable selection of outputs. HDMI is joined by Ethernet, phono AV and digital audio. Unfortunately Wi-Fi is AWOL, so you'll need to wire accordingly (a HomePlug solution is easiest if you don't have a networked room). A front-panel USB input, disguised by a rubber bung, offers local content playback. LG has polished the interface of the BP420 so much it gleams. This thoroughly intuitive deck is fun to use and blindingly fast when it comes to navigation. The player may be borderline budget, but its HD image quality is clinically precise and vibrant. It also makes the most of standard-def DVDs too, upscaling them to 1080p without introducing any unwanted artefacts. Media handling is class leading, with all popular codecs and wrappers supported, including AVI, MOV, MKV, MP4, MP3, WMA, WAV and AAC/M4A. You can even play FLAC from USB. Disc loading speeds, even with heavy Java-infused discs, are good. The Bond classic Goldfinger goes from tray to onscreen menu in just 48s, while a simple Java-lite disc takes a mere 34s. Proof positive that there's no need to slum it even when the budget's tight, the LG BP420 is a pucker Blu-ray bargain. It looks neat, with its squared off corners and glossy fascia, while beneath the lid lurks a fast-loading, well appointed player. Once networked via Ethernet it rewards with a huge amount of catch-up and IP telly, including iPlayer, Netflix and Lovefilm. The deck also doubles as a versatile media player, compatible with all key codecs. Icing on the cake is crowd-pleasing picture quality.